The days are getting warmer and the evenings longer which means we are on the downhill stretch to Christmas, the silly season and the end of the year. But this does not mean that it’s time to put your career aspirations on hold, swan off with a cocktail in hand or slip into your summer sandals and head to the beach. Not quite so fast my friend. That time will come but not quite yet. Here’s what I suggest you focus on first. As I’ve discussed with many high-achieving women over the last 2 weeks, this is the perfect time to get out and about connecting and positioning yourself for the types of roles you would like to be considered for come the new year. Think of this time as your time to get out from behind your desk and connect in person with your network for a pre-Christmas drink, coffee or lunch. Dig into your contact list and pick up the phone to colleagues from years gone past. 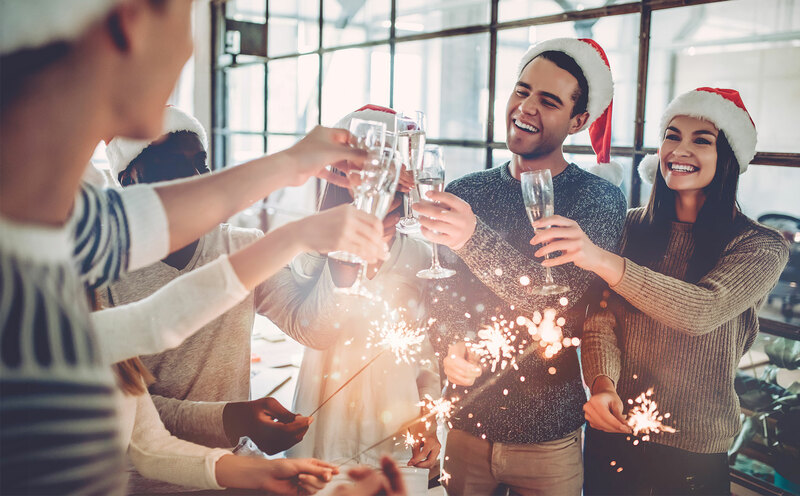 Go into this festive period with an intention to have some fun, while also making best use of the opportunity to strengthen key relationships, build your profile and seek opportunities in the hidden job market. Yes … I’m suggesting you be a little bit strategic. And as I’ve discovered through many discussions with women over the last couple of years … knowing how to have these conversations and exactly how to position yourself can be bewildering. Here are my 5 best suggestions for making the most of the festive silly season. 1. Relationships first, business second. Networking is about building relationships. No one likes to be taken advantage of or used. So focus on developing authentic connections and be willing to give even more than you would ultimately like to get from the relationship. 2. Be bold. Ladies it’s time to own our accomplishments and successes. When someone asks you how the year has been, speak of what you have achieved and what has made you proud this year. No more hiding in the shadows or skipping over the wins. This is all about positioning your skills and talents and developing your personal brand. 3. Be open to new opportunities. If you are on the job market… let people know (with discretion of course.) If you don’t know exactly what is next for you then share that you are exploring opportunities that will allow you to use your X,Y and Z skills and further develop your interest and passion for A, B and C. Avoid speaking about a specific job title as this will very much limit the possible opportunities coming your way. 4. Ask for introductions. Your next role is most likely to come through an introduction or a recommendation from someone in your network. So let’s expand the network. Ask your connections whether there is anyone within their network that may be valuable for you to connect with. Remember, you will never get what you don’t ask for. 5. Have fun. Let’s face it, you’ve worked hard all year, so let’s take some time to enjoy the festive season. And as an added bonus, you will exude the type of energy that we are all drawn towards. A positive, optimistic and fun attitude during the silly season will do wonders for your soul and boost your chances of a fabulous opportunity coming your way either now or in the near future.